Set in a non-through road, close to the forest of St Sever, this pretty character French house and it’s beautifully finished separate gite, has stunning views over the open countryside. 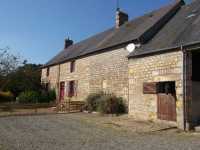 AHIN-SP-001123 Nr Vire 14500 Stone house to modernise in quiet hamlet with almost half an acre of garden and several outbuildings. The property is attached to a neighbours garage by the shed/store room. It benefits from partial double glazing but further modernisation will be required. Viewing recommended. AHIN-SP-001124 Nr Vire 14500 Beautiful detached Country House with just under 10 acres of land and outbuildings with River frontage and no neighbours within 300m. Plenty of authentic features including original stairs, exposed stone walls and beams. The surroundings of this property offer a peaceful place to live, seemingly in the middle of nowhere! 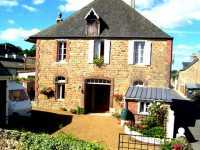 However it is just a couple of minutes drive to Vire-Normandie with all amenities and mainline train station to Paris. A country house owned by the same family since 1838. It benefits from spacious family accommodation on 3 floors. The windows are double glazed with shutters. 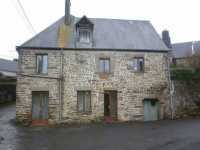 AHIN-KR-1846 Pont Farcy 14380 This is an ideal opportunity to purchase a village house which would make a perfect holiday home or could be a snug family home with excellent transport links to the Normandy countryside and tourist attractions. In summary this is an ideal opportunity to purchase an affordable village property right in the heart of the Normandy countryside. AHIN-SIF-001001 St Sever14380 Detached Farmhouse in Normandy with separate apartment, large garage and just over an acre of garden. Detached house with spacious accommodation, built over a basement with nearly an acre garden and the nearest neighbour about 500m away. AHIN- SIF-00930 St Sever14380 Detached stone 5 bedroomed house which has been completely renovated by the present owners. This character family house has versatile accommodation and just under 1/2 acre garden. The property benefits from double glazed windows throughout, new plumbing and electrics, new kitchen and bathrooms. It is in a quiet situation and there is the possibility of a ground floor bedroom with en-suite shower room. Viewing is recommended. 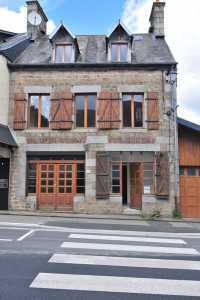 AHIN-SIF-00931 Nr St Sever 14380 Ideal home and income - 3 apartments for sale in Normandy with double garage and garden. This property offers a home and income possibility as it comprises 3 self-contained apartments. The ground floor apartment is currently used as the Owners’ accommodation and was the most recently converted. AHIB-SIF-00919 Saint Sever 14380 Spacious (5 bed) Town House in Calvados within easy walking distance of shops, schools, restaurants, etc. AHIN-SIF-00879 • Saint Sever • Detached 4 Bed modern house on 4 acres of land. Built in 2009 over a basement and offers light and airy accommodation and superb views to the south over open farmland and woods. It has just under 4 acres. Completely renovated in 1988 and well maintained by the owners. Benefiting from light and airy accommodation double glazed windows and central heating. 6+ acres of land including an orchard and pond. AHIN-SIF-00778 • Nr Vire • 2 Bedroomed House plus 5 Bed Letting House on 14 acres including River Frontage. Unusual townhouse with 2 gîtes for sale in Normandy - ideal home and income with all the facilities of a large town and mainline train station within walking distance. 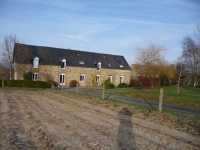 PRICE DROP • Near Vire, 6 Bedroomed House (3 Baths) on 2 plus acres Attached Gite.